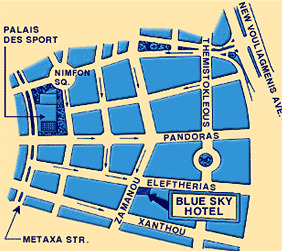 Hotel Blue Sky is situated in Glyfada which is considered to be the most prestigious and beautiful suburb of Athens. 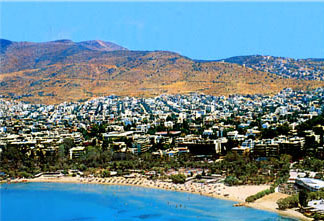 Along the Apollo Coast with population of 150.000 people, Glyfada has wonderful beaches, a first class shopping center, amazing night life and an 18 Hole Golf Course, all of which attract many people both from Greece and abroad. 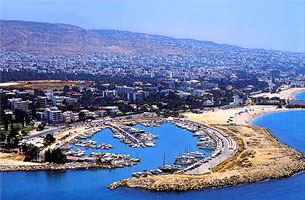 Glyfada's distance from the center of Athens is 45 minutes drive with the public bus service. The temple of Poseidon in Sounio is 1.30 hours drive, the Athens International Airport "E. Venizelos" and the port of Piraeus are 45 minutes drive. 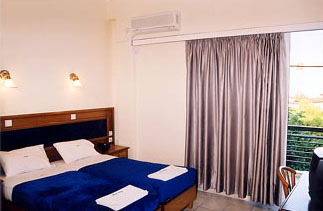 Hotel Blue Sky is a family owned, recently renovated, three star hotel. It has 19 rooms and 36 beds. It's distance from the beach and from the center of Glyfada is 15 minutes walk, yet it is located in a very tranquil and beautiful neighborhood of the city. A small bar where breakfast and drinks are served, is also provided. If you are familiar with BLUE SKY HOTEL, please share your opinion of it with other travelers. Write a review! BACK IN 1978 1979 I was in the army.I stayed at the hotel blue sky. Iwas only 18 19 years old.I stayed there about six weeks. Then uncle Sam put me to work on amountan top all good things come to an end. watch out for the ouzo. Wish I could go back in time.